With the holidays coming up, I thought people might be working on last minute cards and drawings. One of things you often see on such cards are trees laden with snow. There are a lot of ways to draw or paint such cards, but I thought I share a quick and easy way that creates a distinct look. Don’t sweat the shapes. 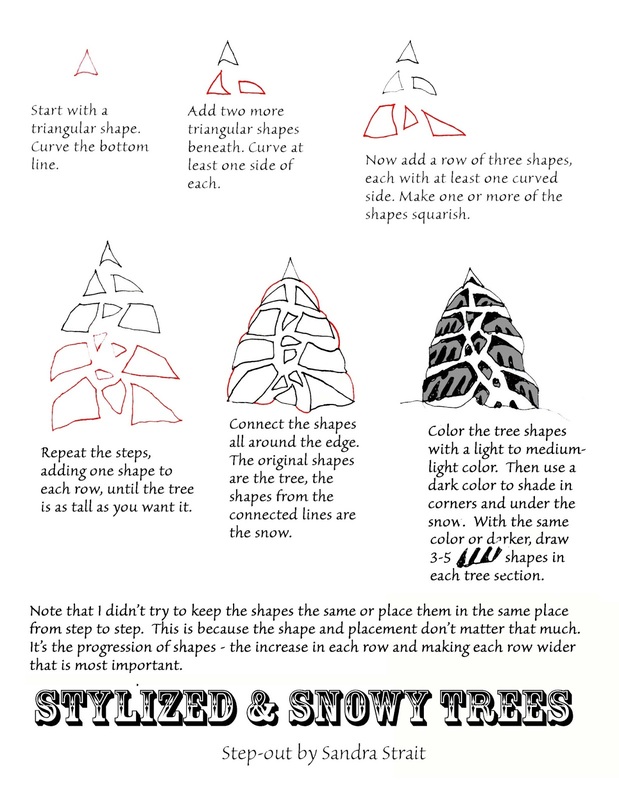 Play with making the tree shapes (you’ll understand what I mean by step 5) smaller so there is more snow, or making them larger so there is less. Mix them up – as long as you have a triangular shape on top, you’ll get something that resembles a tree. Remember- these are stylized. They represent the object, like an icon, but don’t have to look all that real. I apologize that parts of my step-out was drawn digitally. I had to finish it while visiting family and discovered that I had left my drawing utensils behind. 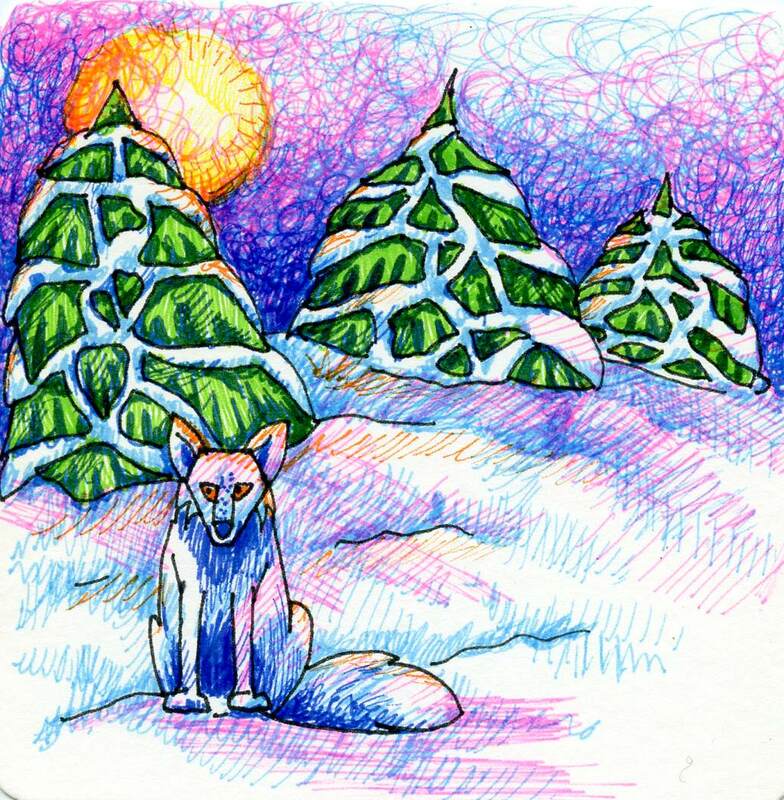 Example done with Zebra Pen Sarasa Fineliners on a Hahnemühle Watercolor Postcard.